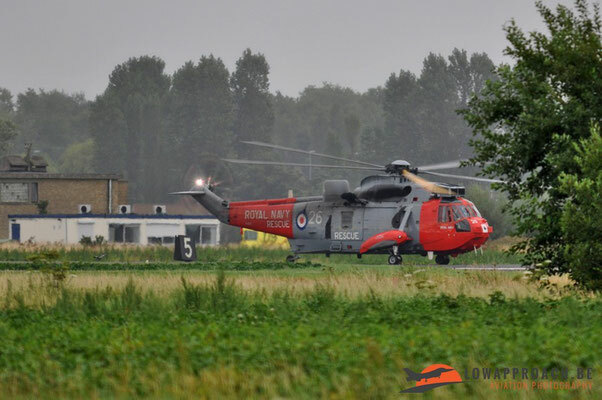 On the 17th of August Lien and Tim went to Coxyde. 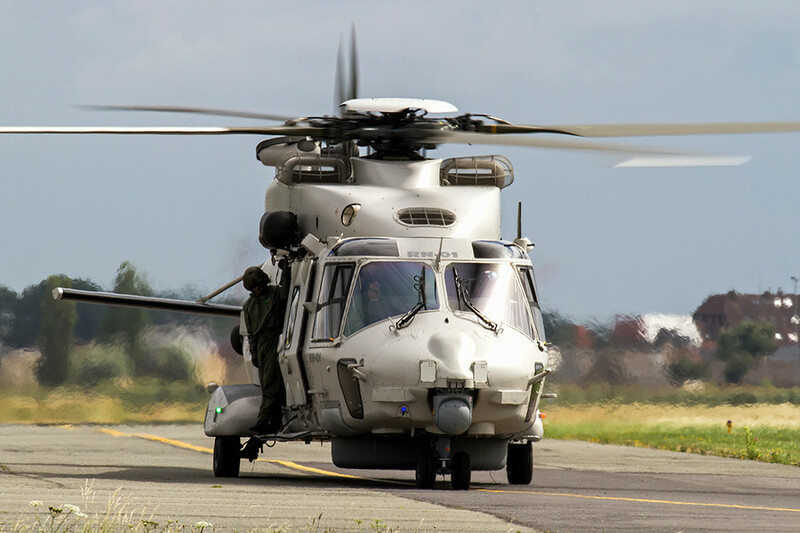 They were quit lucky with the amount of flying activities because Coxyde is mostly a rather calm airbase when nothing special is planned. 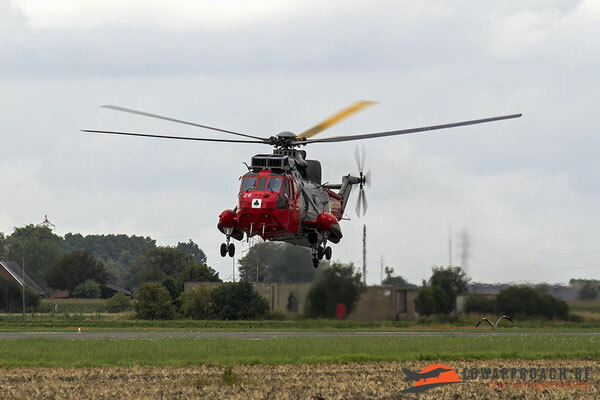 Some 30 minutes after they arrived they saw the landing of an English Sea King. 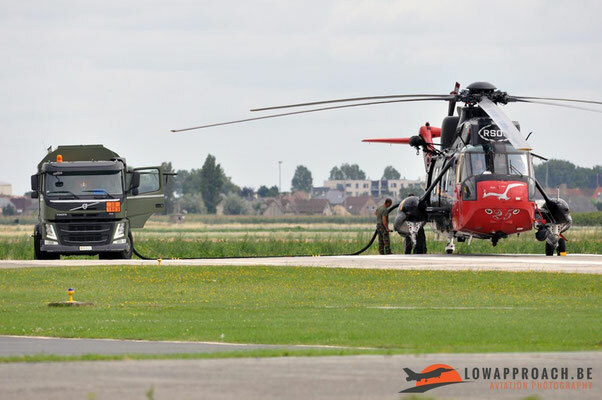 This helicopter held a fuel stop at Coxyde on his way back home after participating at the SAR-meet that was held at Nordholz, Germany. 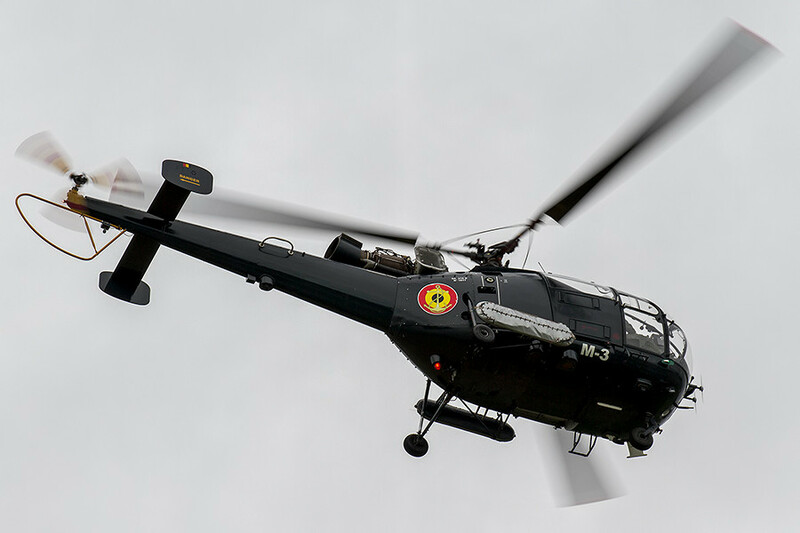 Not long after this nice visitor left they saw the departure from an Alouette 3 for a training mission. 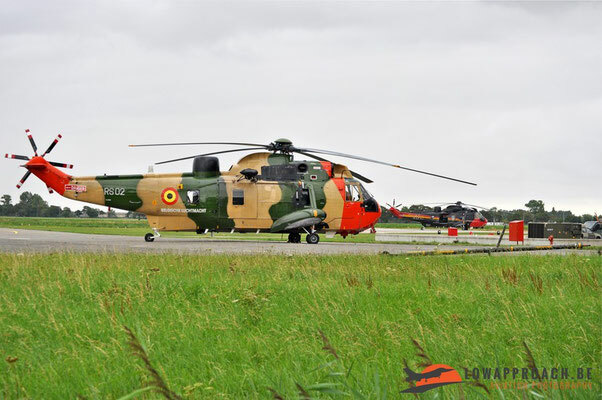 This little helicopter is the oldest, still active helicopter in the Belgian military’s inventory, but it’s still going strong. In front of the hangar from the 40th squadron they saw 2 Sea Kings standing outside the hangar. 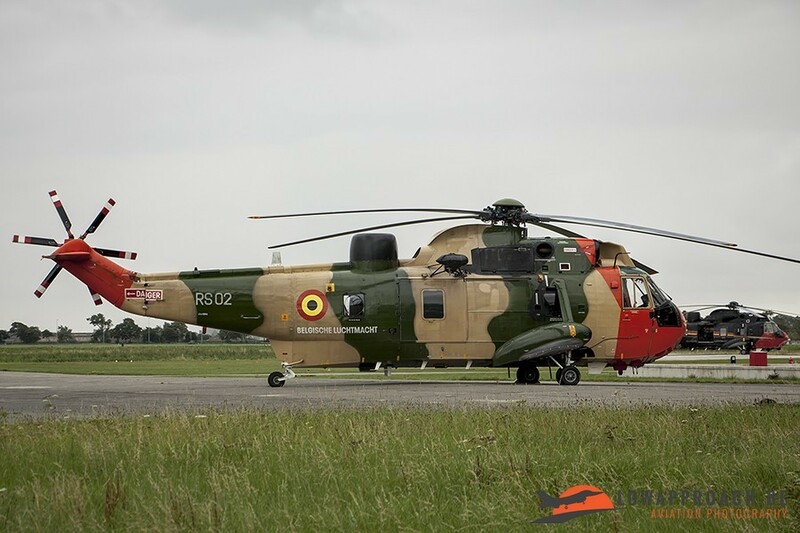 The RS02 on standby for possible scrambles and the RS05 which still wears a special paintsheme to celebrate 25 years of service from the Sea King in the Belgian Air Force, but this paint was already applied in 2001 so it’s a bit outdated. 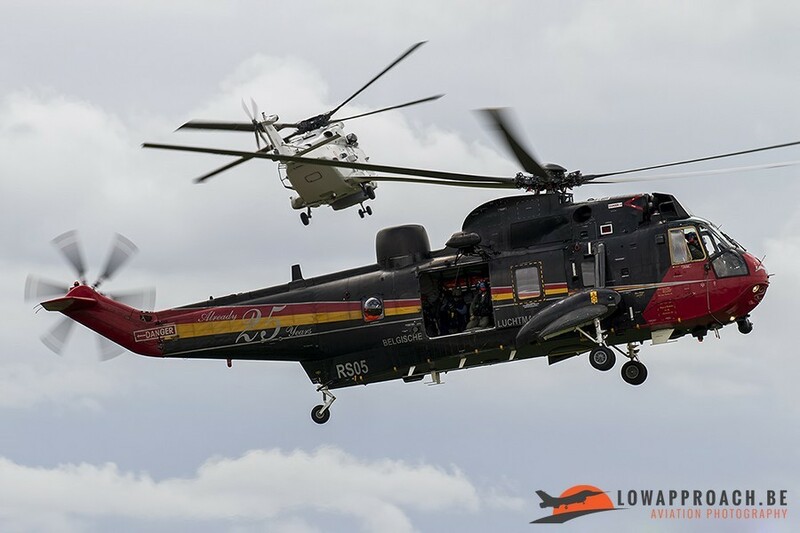 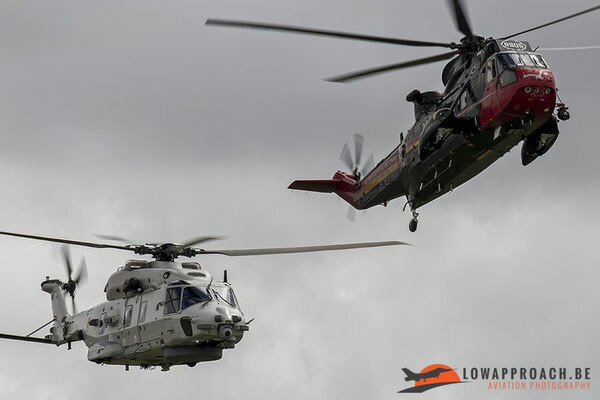 In the afternoon we were surprised to see a duo display/SAR-demo from a NH-90 and a Sea King. 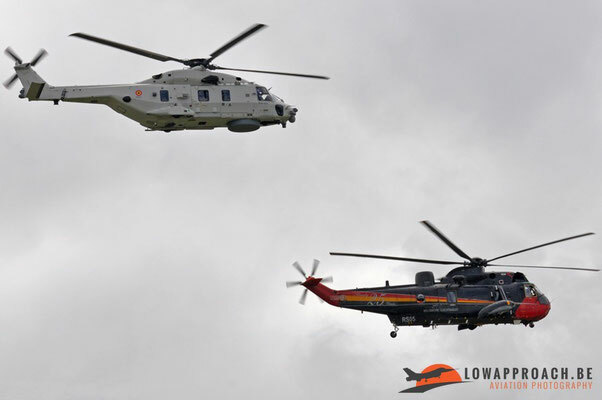 This demonstration was a rehearsal for a ceremony a couple of days later where the NH-90NFH was going to be declared IOC. This means that the NH-90NFH fleet gets the approval to slowly take over the tasks from his predecessor, the Sea King. 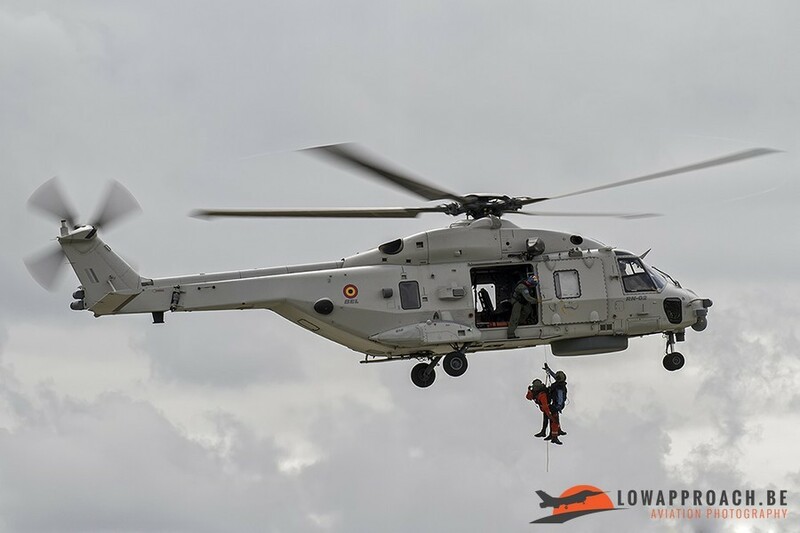 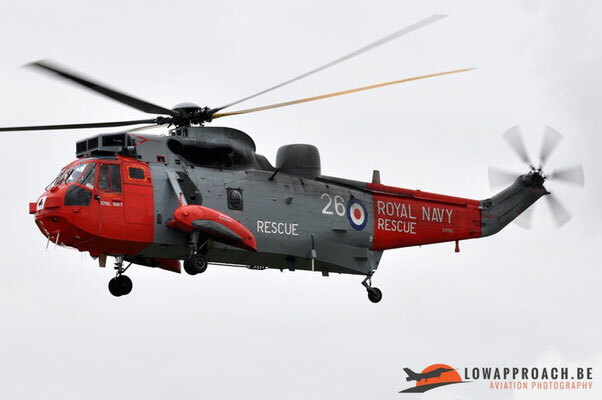 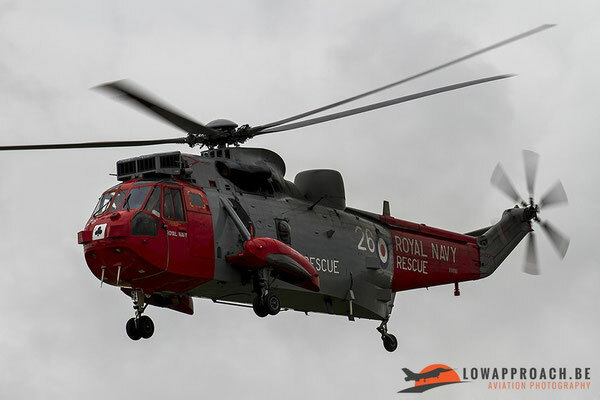 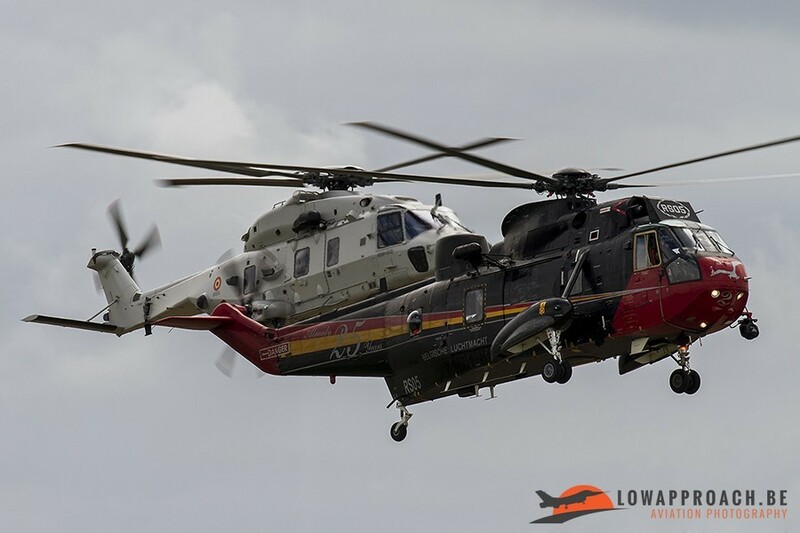 The demonstration consisted out of a couple of formation passes and a SAR demo where the Sea King winched down a medic and then flew away and the NH-90 winched the medic back up. Then there were a couple more formation passes and during the last pass the Sea King broke away to symbolize his retirement and to introduce the new helicopter to fulfill the future SAR-duties. 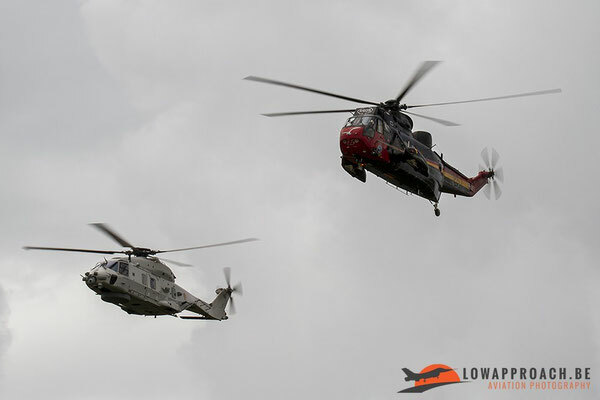 And to conclude we saw the return from NH-90 RN-01 which also participated at the SAR-meet in Nordholz.